The Best Oklahoma Blogs from thousands of Oklahoma blogs in our index using search and social metrics. We’ve carefully selected these websites because they are actively working to educate, inspire, and empower their readers with frequent updates and high-quality information. Also check out Oklahoma Youtube Channels. Oklahoma newsletter is a comprehensive summary of the day's most important blog posts and news articles from the best Oklahoma websites on the web, and delivered to your email inbox each morning. To subscribe, simply provide us with your email address. Oklahoma City, Oklahoma About Blog See what's happening around Oklahoma City or get a local's view on what makes our city a great vacation destination! You'll find the very best of cuisine, attractions, things to do, family fun, and outdoor adventures. Start planning your trip and find places to stay, explore events and festivals, taste the local fare, and get a free guide visitors! Facebook fans 56,301. Twitter followers 25,443. Facebook fans 2,168. Twitter followers 5,087. Oklahoma City, OK About Blog NewsOK is Oklahoma's most trusted source for breaking news, sports, weather, obituaries, politics, business, art, entertainment, blogs, video, photos and Oklahoma City headlines. Facebook fans 103,888. Twitter followers 102,828. Oklahoma About Blog Oklahoma Magazine is ALL THINGS OKLAHOMA. This magazine defines Oklahoma through the stories of its people, culture, past, present and future. We keep you informed and entertained with everything from designer homes to hot new restaurants, must-see performances and travel here and abroad. Facebook fans 27,910. Twitter followers 23,167. Oklahoma City, OK, USA About Blog Oklahoma Gazette is providing Oklahoma City's Arts, Entertainment, and News authority. Oklahoma Gazette’s mission is to stimulate, examine and inform the public on local quality-of-life issues and social needs, recognize community accomplishments and provide a forum for inspiration, participation and interaction across all media. Facebook fans 34,408. Twitter followers 59,490. San Francisco, CA About Blog A subreddit with articles and discussions on Oklahoma from the reddit community. Facebook fans 1,187,130. Twitter followers 556,271. San Francisco, CA About Blog Oklahoma City Metro Area's very own subreddit. A place to post anything and everything happening around our great city. Oklahoma City About Blog We cover Oklahoma news, sports, politics, media and pop culture. Facebook fans 41,379. Twitter followers 53,193. Oklahoma City, OK About Blog Oklahoma City Thunder news, highlights, and analysis. Covering the Thunder daily since 2008. Facebook fans 2,709. Twitter followers 7,996. Oklahoma About Blog Mom Luck is an Oklahoma Mom Blogger, Brand Ambassador and Vlogger who specializes in family lifestyle content, travel, cars, parenting and reviews. Facebook fans 25,150. Twitter followers 22,084. Oklahoma City, Oklahoma About Blog Brides of Oklahoma wedding blog is the source to find Oklahoma wedding ideas and inspiration featuring the best Oklahoma wedding vendors. Their mission is to help Oklahoma brides plan their dream weddings and connect with the best Oklahoma wedding professionals! Facebook fans 26,033. Twitter followers 1,886. Oklahoma About Blog Ally of Allyson in Wonderland is a fashion, travel, and lifestyle blogger based out of Oklahoma City. This blog showcases her visual fashion style story. Facebook fans 3,526. Twitter followers 4,648. Oklahoma, USA About Blog Uncovering Oklahoma is about creative places and people in Oklahoma. Originally started in April 2009 as an episodic travel show for young adults, Uncovering Oklahoma evolved to a publication with information about adventurous places in the state and interviews with creative people through articles, interviews, and videos. Their mission is to introduce people to new places, things, and amazing, creative people. Facebook fans 11,969. Twitter followers 3,220. Oklahoma City, OK About Blog Amanda's OK is a lifestyle blog about food, fitness and fashion in OKC and beyond. Amanda Martin is the author of this blog. Read articles on fitness, food, fashion and living local, as well as her travels near and far. Facebook fans 460. Twitter followers 319. Oklahoma City OK About Blog iON Oklahoma Online is a digital online magazine showcasing Oklahoma’s lifestyle, culture and entertainment; created and owned by Don Swift, founding publisher of distinctly Oklahoma. The mission of iON Oklahoma Online is to provide coverage of the latest trends, cutting-edge fashion, and feature stories about celebrities, restaurants, events, travel, and photo galleries that everyone will be talking about. Facebook fans 4,535. Twitter followers 1,632. Oklahoma City About Blog OKC Moms Blog is a community resource that provides relevant content to all readers. We strive to bring our community together through ideas, advice and events. Facebook fans 14,445. Twitter followers 2,295. Norman, OK About Blog Frontier Country Marketing Association promotes tourism in the 12 central counties of Oklahoma, known as Frontier Country! There's something for everyone in central OK! Facebook fans 3,300. Twitter followers 2,390. Oklahoma, USA About Blog Blue Oklahoma features posts by Oklahoma Democrats addressing the political and cultural issues of the state from a liberal or progressive point of view. It is not an organ of any Democratic organization, but seeks to provide independent perspectives by and for Democrats. Facebook fans 673. Twitter followers 167. Oklahoma City About Blog Oklahoma City Free Press is an independent reader-engaged community news from and for Oklahoma City. Brett Dickerson is an award-winning journalist and founded Oklahoma City Free Press October 2016. Facebook fans 719. Twitter followers 1,329. 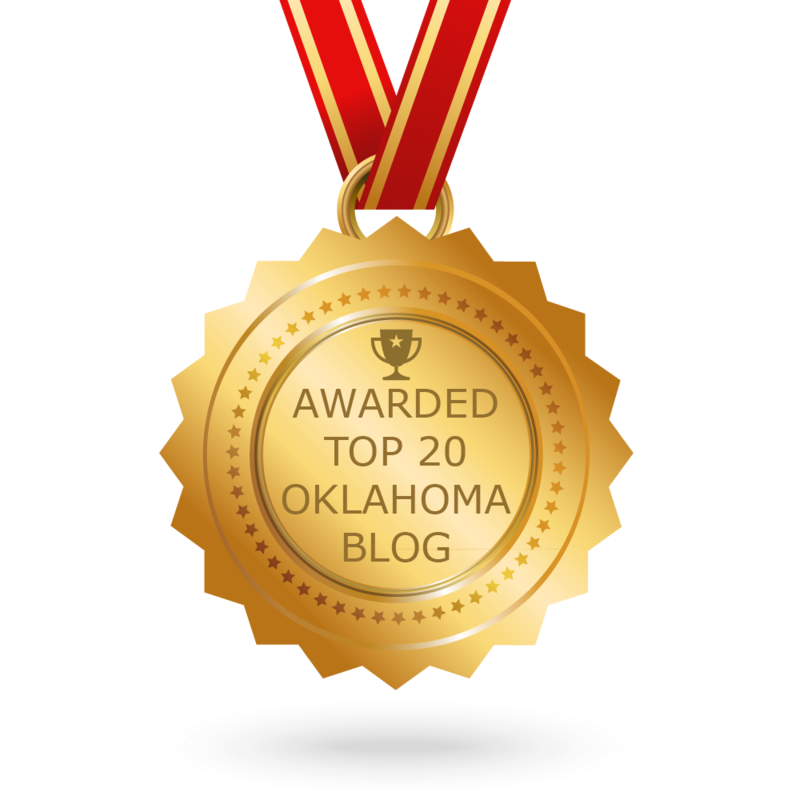 CONGRATULATIONS to every blogger that has made this Top Oklahoma Blogs list! This is the most comprehensive list of best Oklahoma blogs on the internet and I’m honoured to have you as part of this! I personally give you a high-five and want to thank you for your contribution to this world.